Eriez Magnetics in partnership with Guangzhou Research Institute of Non-ferrous Metals (GZRINM). 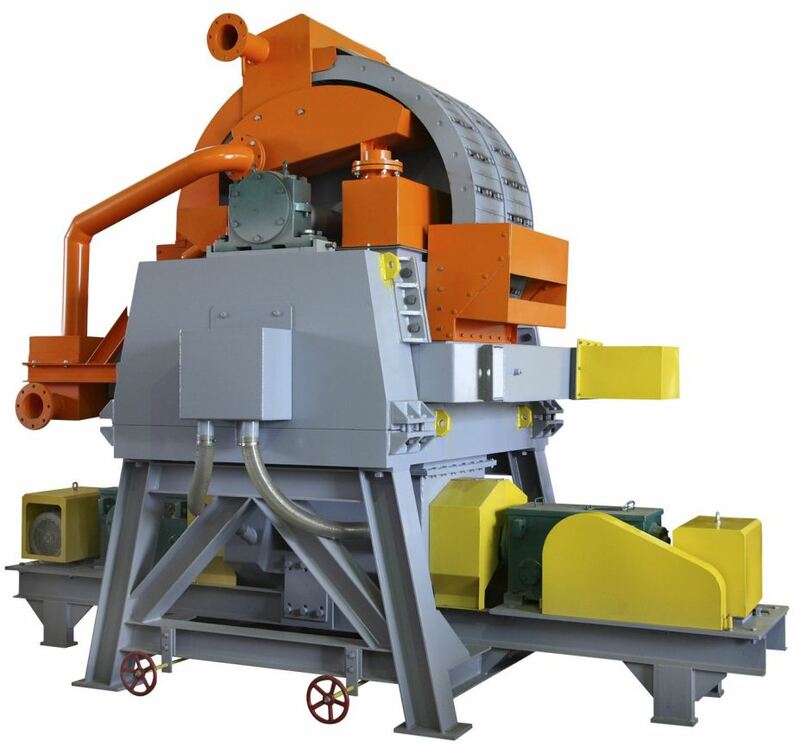 WPE Process Equipment offers Wet High Intensity Magnetic Separators (WHIMS) as the proud representative of Eriez Magnetics in Western Australia (WA). Ferrous metal ore: Recovery of hematite, limonite, siderite, chromite, manganese ores, etc. Nonferrous metal ore: Separation of fine embedded wolframite from quartz, magnetic pyrite from cassiterite in a polymetallic sulfide ore, and cassiterite, wolframite from limonite, etc. Separation of tungsten, wolframite from garnet, etc. Rare earth metal: Recovery of titanium iron ore, iron and tantalum-niobium ore, lithium mica, monazite, and phosphorus yttrium ore. Separation of lithium pyroxene from hornblende, tantalum from niobium, iron ore from microlite, titanium iron ore from man-made rutile, and rutile from garnet etc. Non-metallic ores: Purification of glass ceramics industrial raw materials like quartz, feldspar and kaolin, Purification of high-temperature refractory silicates like and alusite & kyanite. Elimination of iron, hornblende, mica, electrical stone, garnet and other harmful impurities, etc. Other applications: Wastewater treatment for steel mills and power plants or removing catalyst pollution from chemical raw materials. The Eriez GZRINM Wet High Intensity Magnetic Separator is a high gradient vertical ring magnetic separator. A DC current is applied to the coil to form a magnetic field in the separating compartment containing the matrix. The matrix is a select type of magnetic iron that fills the moving ring or carousel. The matrix becomes magnetically induced when within the electromagnet’s magnetic field. Slurried feed is introduced into the magnetic matrix, and is carried through the magnetic field. At this point, the feebly magnetic particles are attracted to the matrix by the very high magnetic gradient while the non-magnetic particles are allowed to pass through. The tailings jig uses a high frequency, low pulse stroke to wash away the very weakly magnetic magnetic material from the matrix compartments into the tailings discharge launder. More strongly magnetic particles remain in the matrix and are carried by the rotation of the vertical ring into the middling area of the separating chamber. Here the middling jig which is adjusted for a lower frequency and a higher pulse stroke washes the moderately magnetic particles into the middling discharge launder. Only the most strongly magnetic particles are retained and rotated along with the separating ring. As the ring moves away from the separating chamber, the magnetic force is gradually reduced until it is very weak. This is the magnetic discharge area where an air/water flushing device will flush magnetic material from the magnetic matrix assembly compartments into the concentrate discharge launder. Many models and sizes to choose from.